If you are looking to have a dock similar to MAC OS X in your Windows machine then you can use RK Launcher. 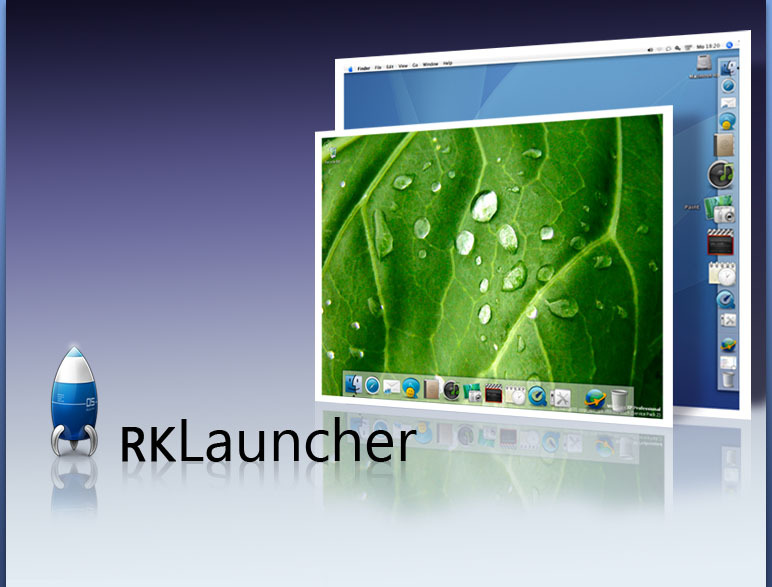 RK Launcher is a freeware application which will help you to launch your applications quickly. You can have a visually pleasing bar either on the side or you can also replace your Taskbar. RK Launcher also supports themes, ICO’s and PNG’s. RK Launcher supports Zooming feature. So when you move your mouse over an icon it is zoomed. This helps you to keep your RK Launcher as small as possible. When you minimize an application it is automatically placed on the shortcut bar with a small icon representing it. When you install new application and run it for the first time RK Launcher will place a shortcut for that. This will help you to easily find the application next time you need it. The best thing is that RK Launcher is fully customizable. So you can choose your icons, number of icons and their size. You can also install a theme if you are looking for a different look. With just 700KB, it is worth trying it out.